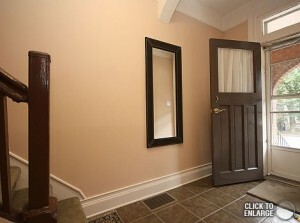 This foyer was fine but a little boring. 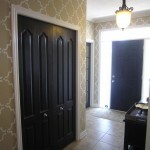 It was given some much needed drama by stenciling the walls and painting the doors a gray/black. 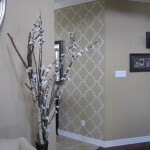 A stencil was used to add some much needed texture and pattern to this foyer. 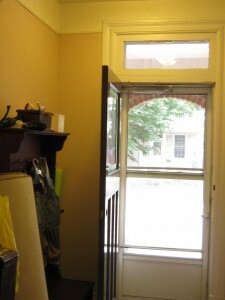 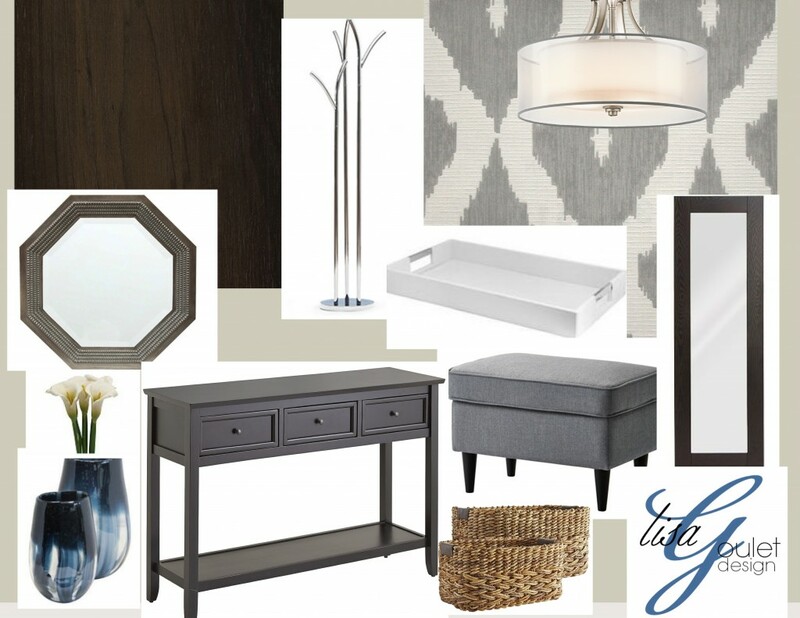 It now has personality and is a great introduction to the rest of the home. 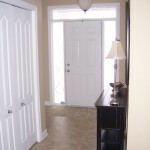 This home’s entrance was decluttered and the front door was painted and a large rectangular mirror was added to help enlarge the area.